Friends the written examination will consist of two papers: (Paper-I) objective type paper and (Paper-II) descriptive type. For your convenience we are providing you with complete details of Examination Pattern and Syllabus (परीक्षा पाठ्यक्रम) of Combined Higher Secondary Level (10+2) Exam (CHSL). It includes all details such as subjects of papers, duration of exam and maximum numbers. Please click on below Link for full details. 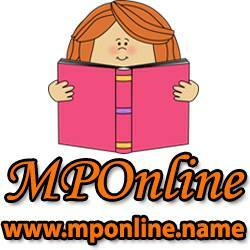 Click here for Exam Pattern and Syllabus.. The Examination Fee is Rs. 100 (One hundred only). However all Women candidates and candidates belonging to Scheduled Caste, Scheduled Tribe, Physically Handicapped, and Ex-Servicemen eligible for reservation are exempted from paying application fee, as per extant government orders. Offline fee payment mode: Candidates who are applying OFFLINE i.e. sending their application form by Post should pay the fee by means of Central Recruitment Fee Stamps (CRFS) only. Recruitment Fee Stamps should be pasted on the application form in the space earmarked for the purpose. After getting the Recruitment Fee Stamps cancelled from the Post Office, the candidate must submit their application to the concerned Regional Office/Sub Regional Offices of the Commission in the usual manner after completing other formalities. Online fee payment mode: The candidates submitting their applications On-line may pay the requisite fee through State Bank of India only either in the form of challan or on-line through SBI Net Banking. Payment can also be made through any Credit or Debit Card. Challan form will be generated on-line. How to Apply: Eligible candidates can apply through either Online or Offline mode. How to apply Offline: A candidate must submit his/her application in the prescribed format affixing recent photograph of size 4 cm x 5 cm along with fee (If applicable) only to the concerned Regional/Sub Regional Office of the Commission under whose jurisdiction the States/UTs in which the post applied for lies. Candidates may also note that they must choose a centre within such State/UT for which they are applying. Application received in any Regional/Sub Regional Office of the Commission for any State/ centre outside the jurisdiction of that Region/Sub-Region will be rejected summarily. For offline Application Form Proforma and further details please refer to Full notification published in Employment News OR visit SSC Website. In Part I registration, candidate will have to fill basic information. On submission of details, candidate will be prompted to check the details and make any correction in the application. Candidate may press “I agree” button after declaration once he/she finds that information supplied by him/her is in order and no correction is required. Thereafter no correction/modification etc. will be allowed. A page with Registration No. will now be generated. Note down the registration number or take out the print out of the page. The application procedure is incomplete without part II registration. Part II registration requires filling of payment details, uploading of photograph and scanned signature. Candidates may note that the Registration number given by the Commission and Transaction ID of the Bank should be properly entered in the relevant space, failing which it will not be possible to link the payment with Part I registration. On-line application will be complete only if scanned signature and photo are uploaded as per instructions. Then upload a recently taken scanned photograph in 8 – bit JPG format. The digital size of the file must be less than 12 kb and greater than 4 kb and of resolution 100 pixel widths by 120 pixels height. Emails will be received by the candidates on completion of Part-II Registration. Copy of email may be retained to produce before the Regional Office in the event of any discrepancy.